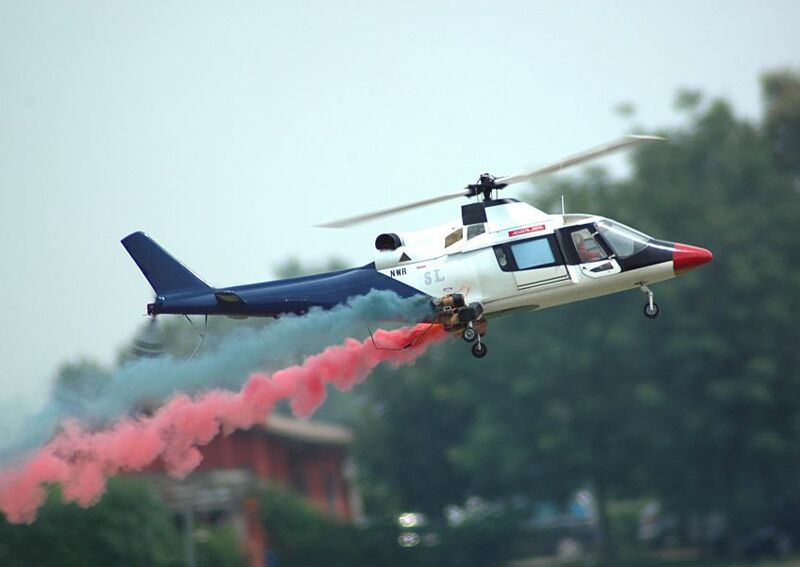 The first practical helicopter - the VS-300 - took to the skies in 1939. 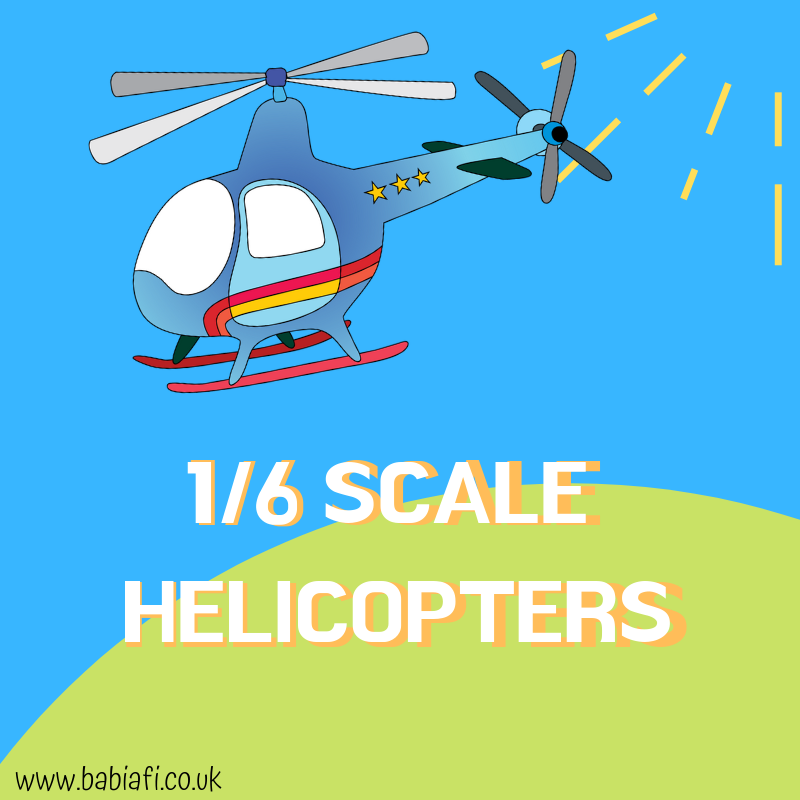 By 1944 helicopters were in mass production. 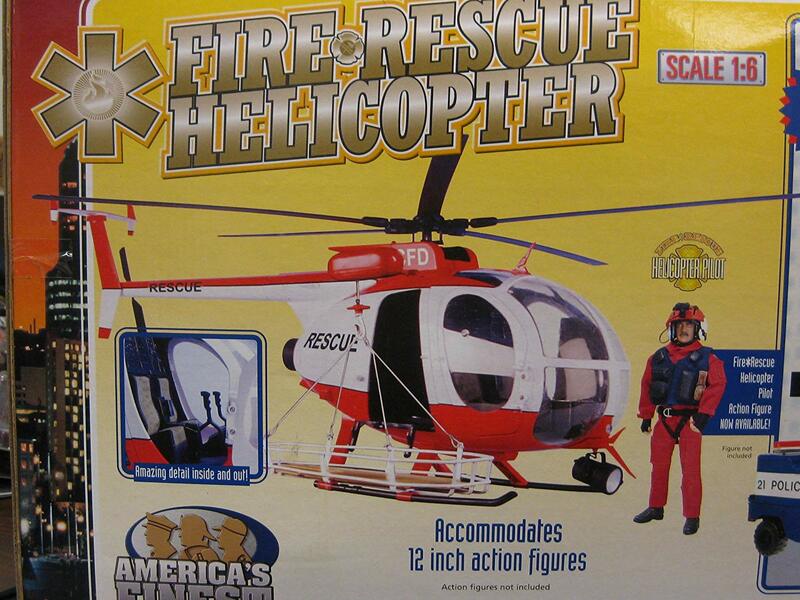 Today they're used for all kinds of things from transport, to search and rescue, to fire fighting. 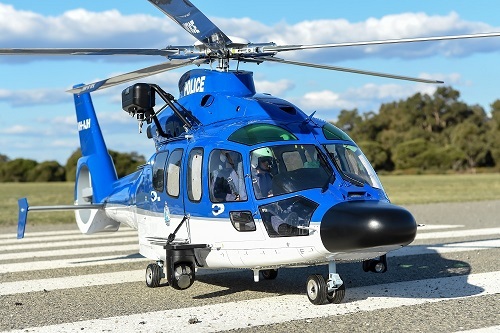 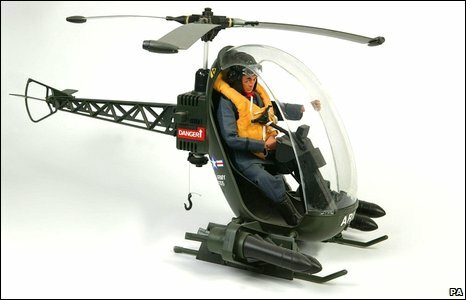 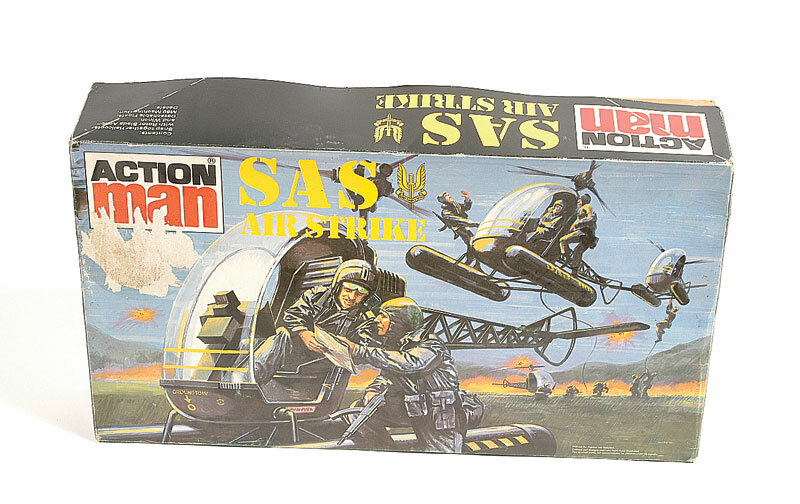 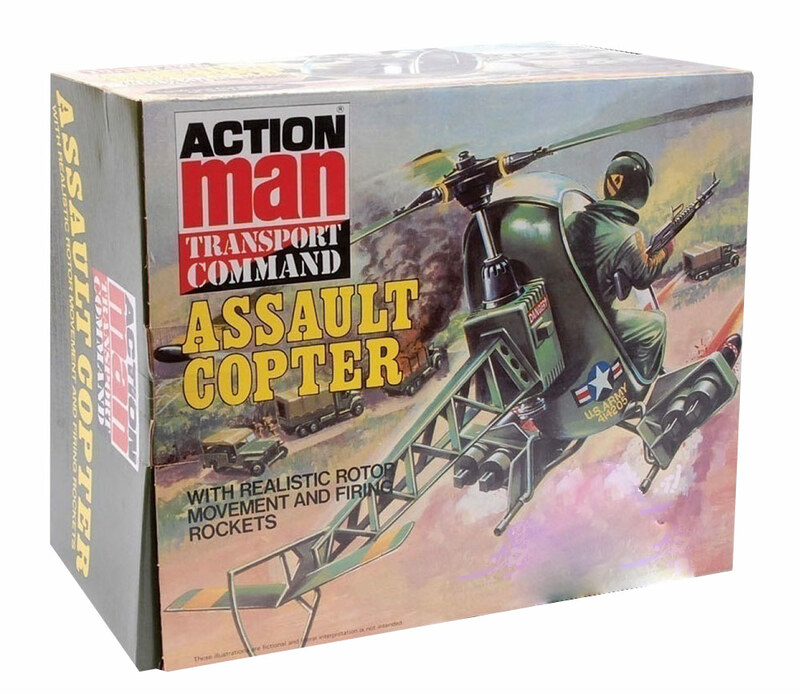 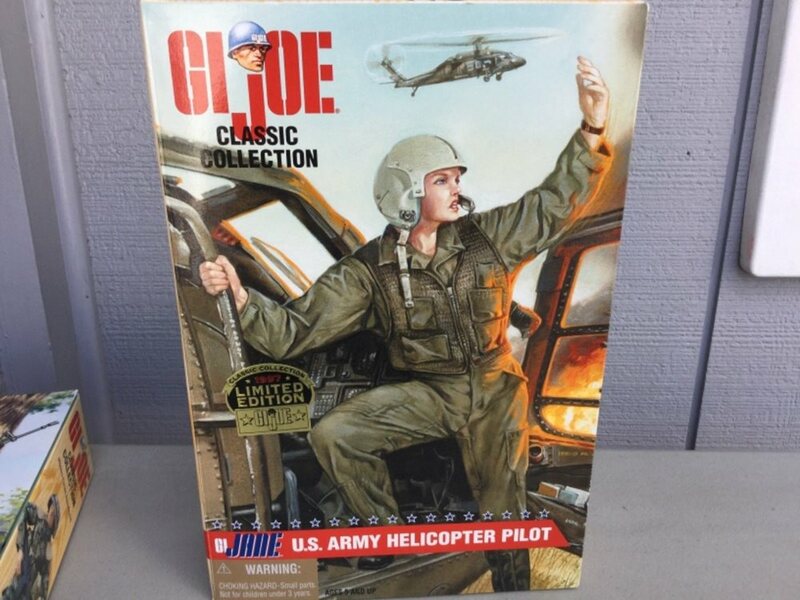 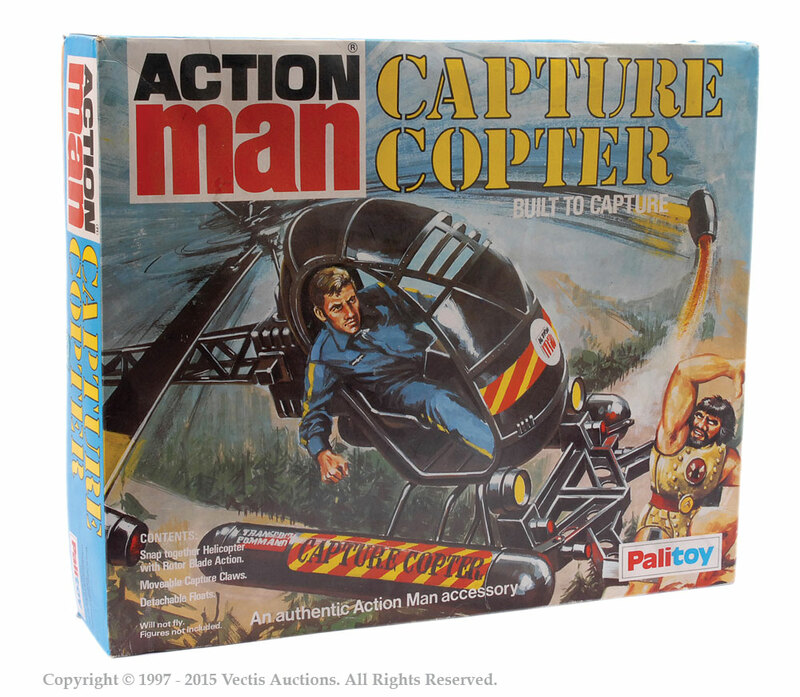 Here you'll find a guide to the 1/6 scale helicopters and pilots available over the years, from plastic playline right through to top of the range RC models. 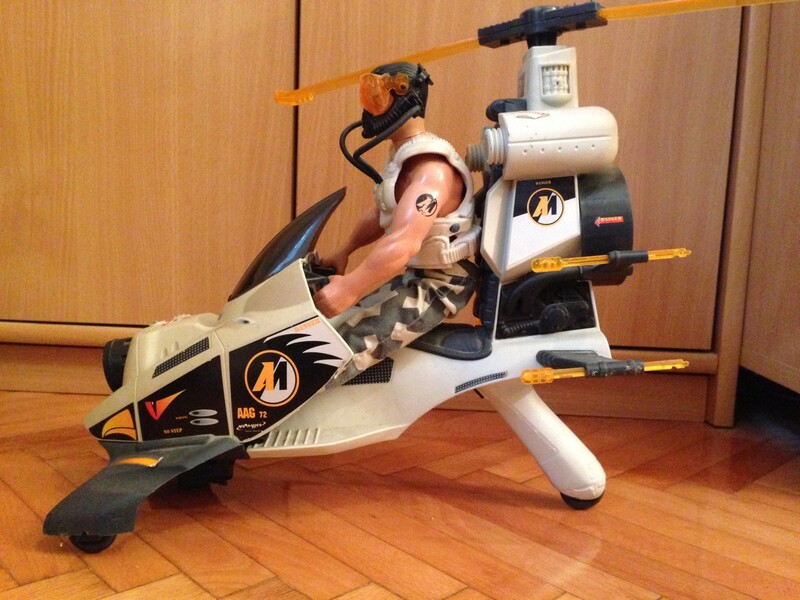 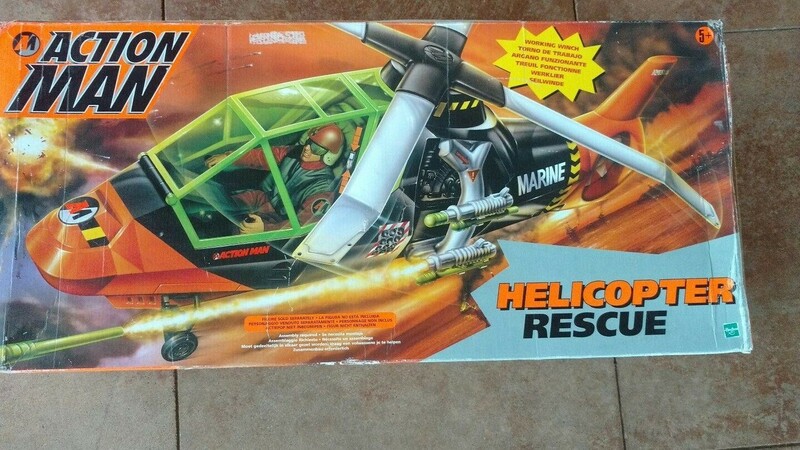 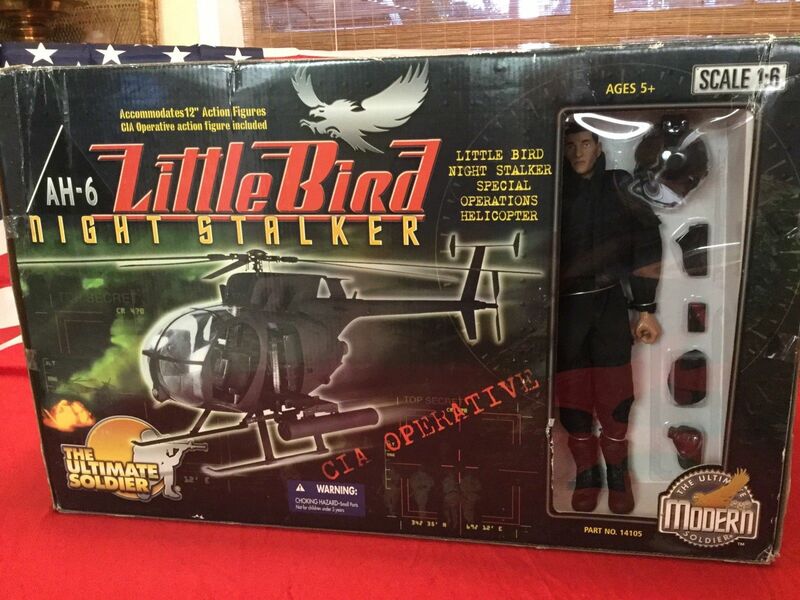 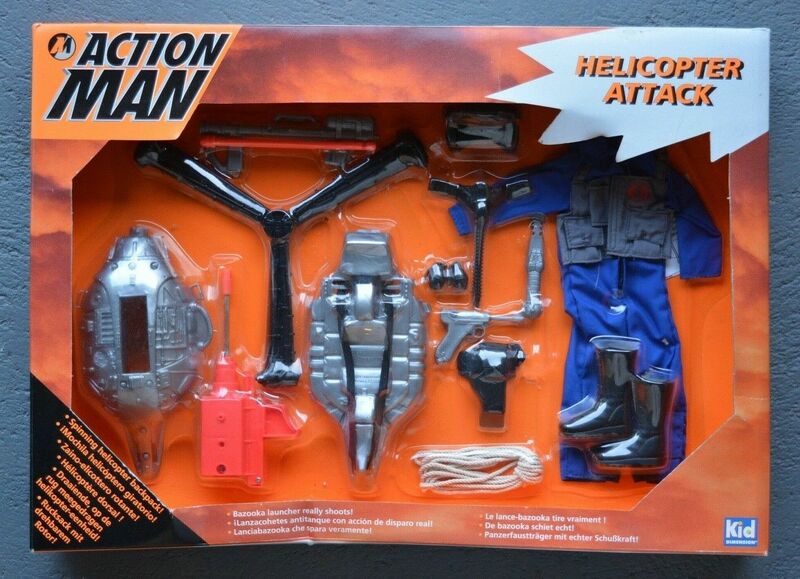 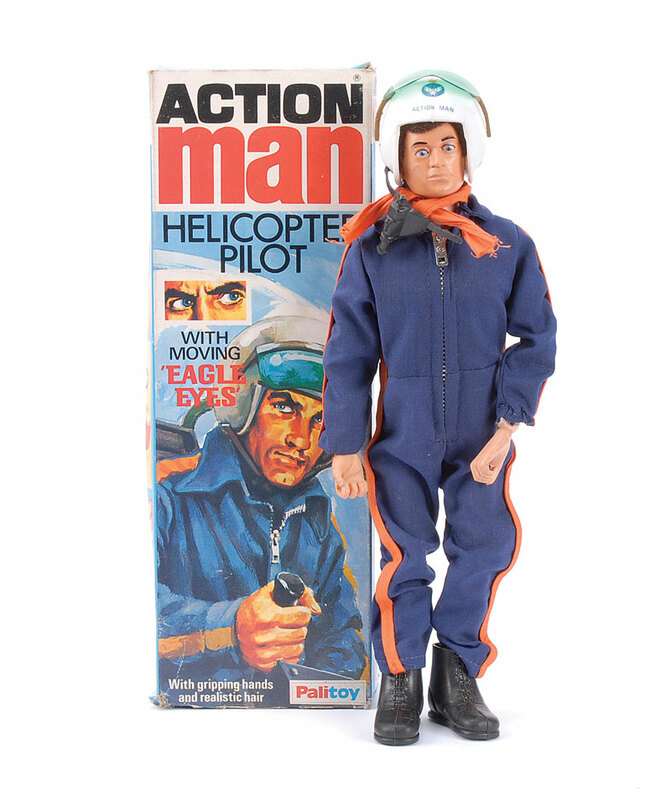 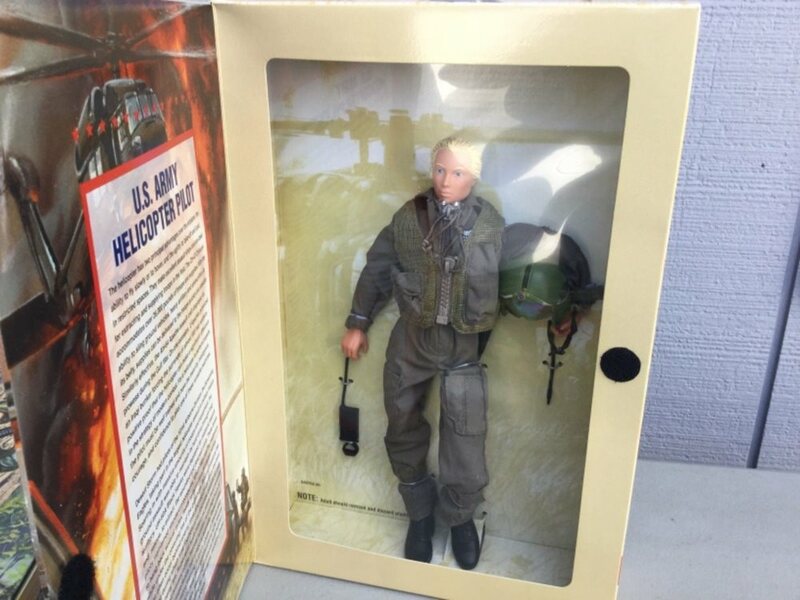 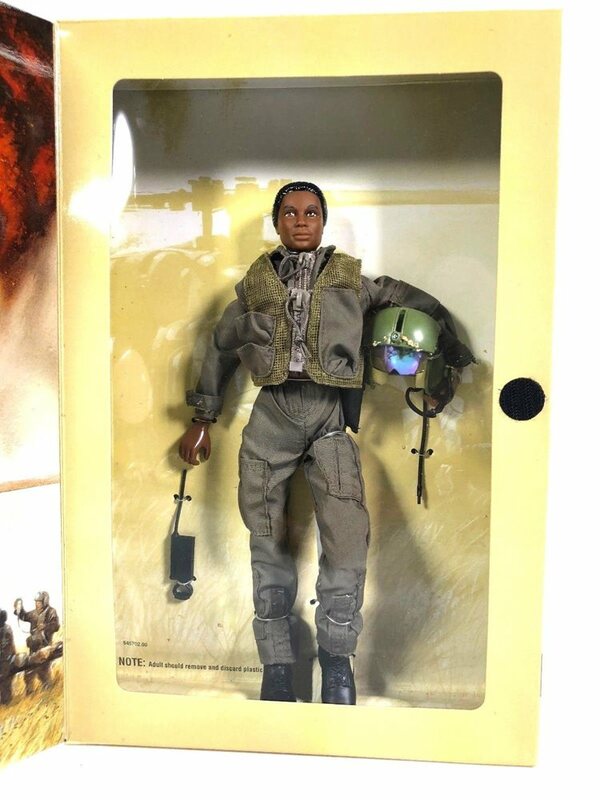 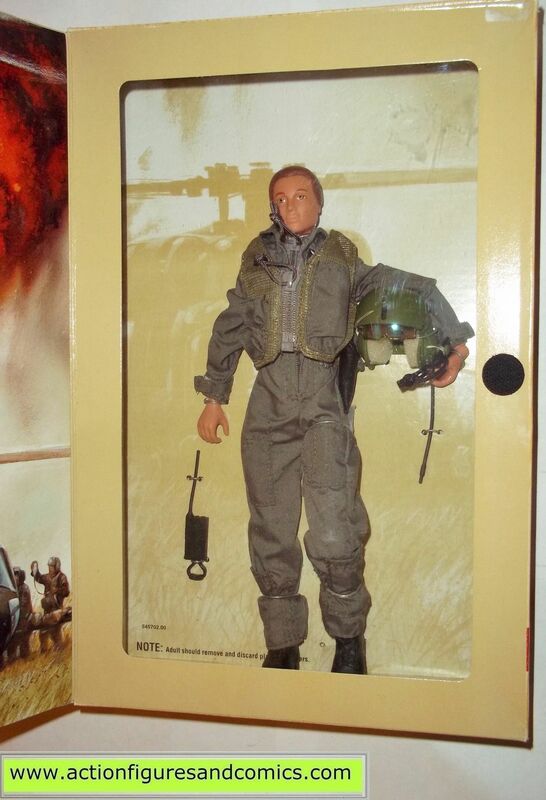 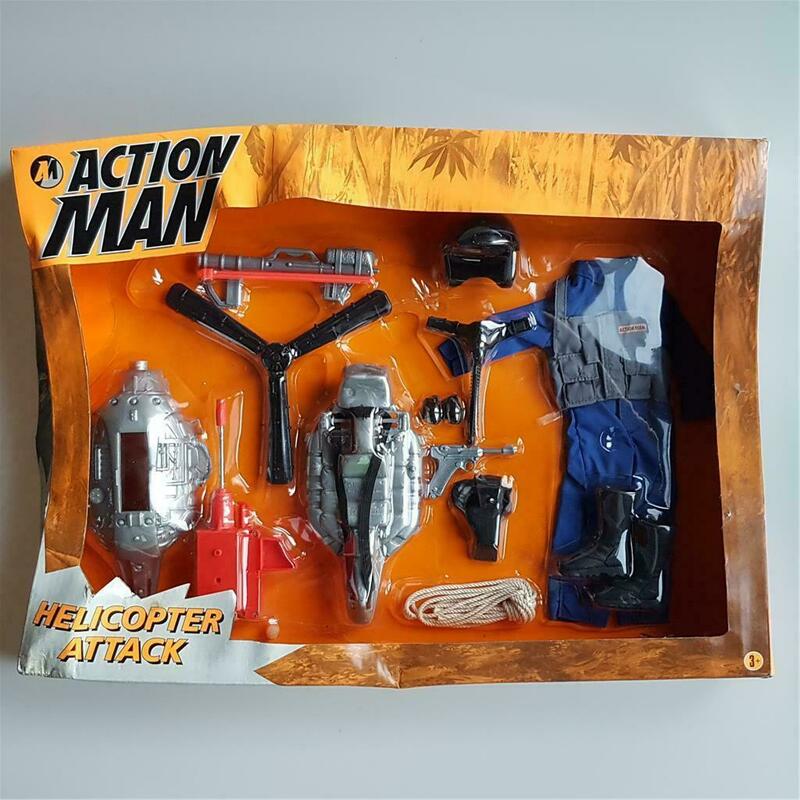 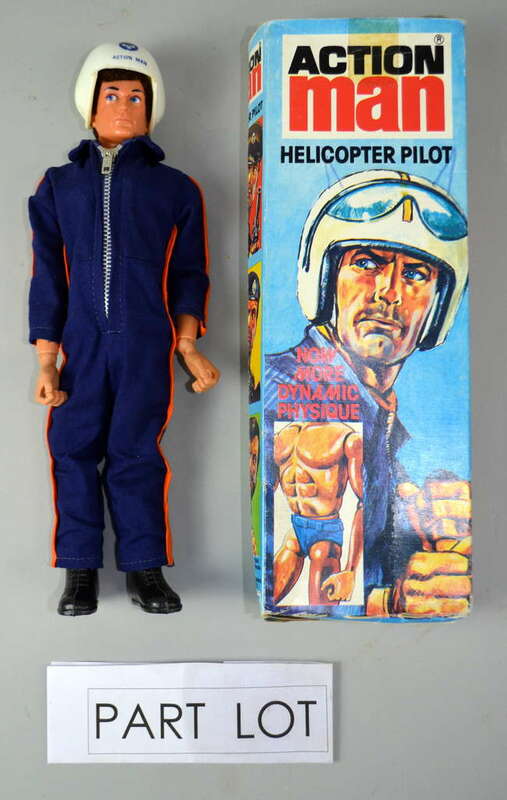 1977 Eagle Eyes Helicopter Pilot. 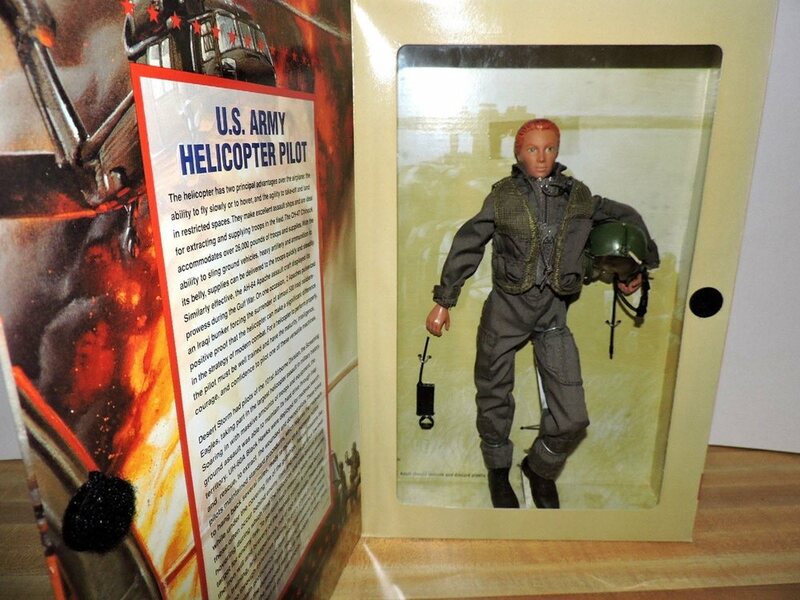 2008 40th Anniversary Helicopter Pilot. 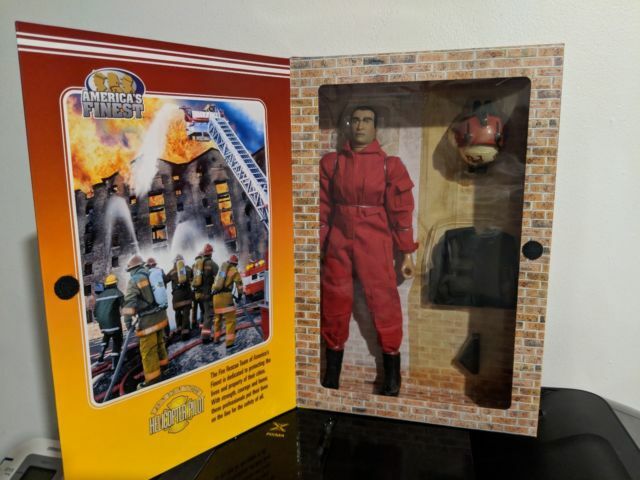 1971 Search for the Stolen Idol. 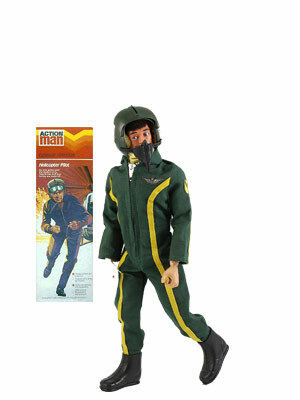 1972 Recovery of the Lost Mummy Adventure. 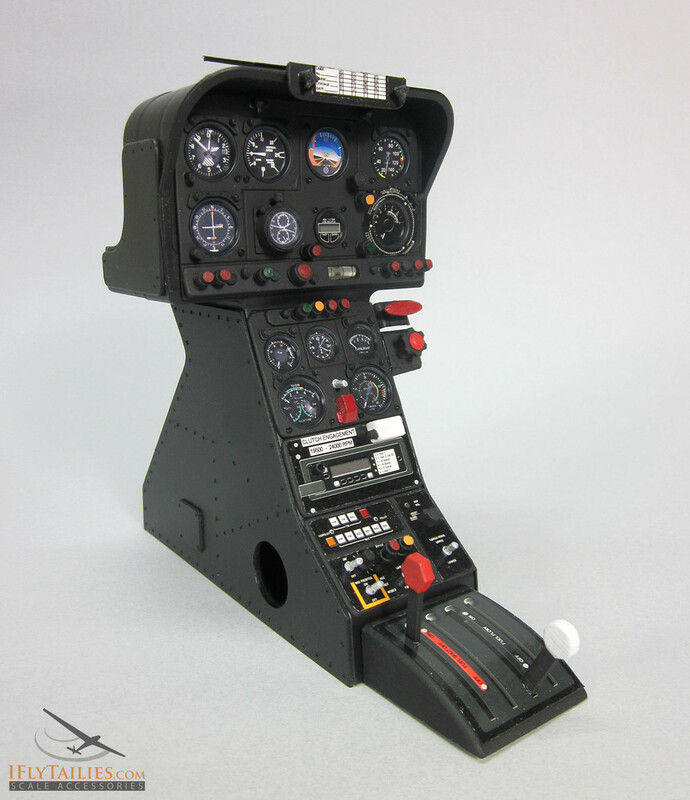 Super cool range of cockpit accessories. 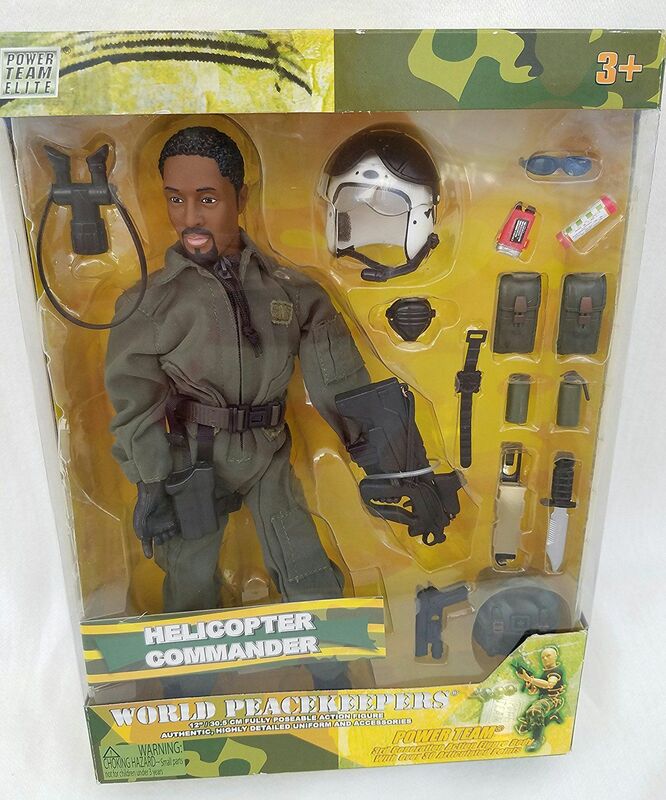 World Peacekeepers Helicopter Commander (AA). 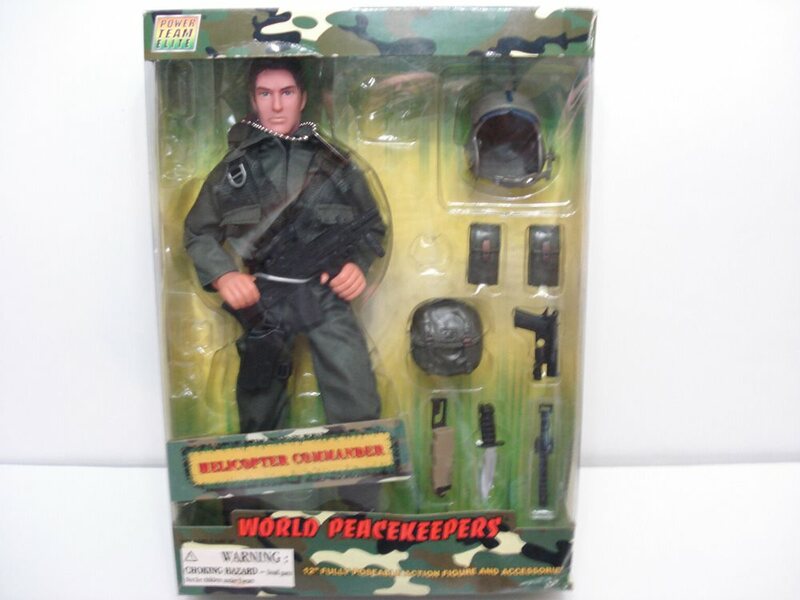 World Peacekeepers Helicopter Commander (brunette). 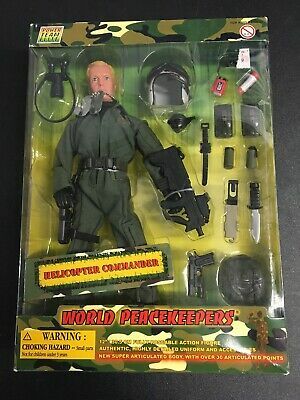 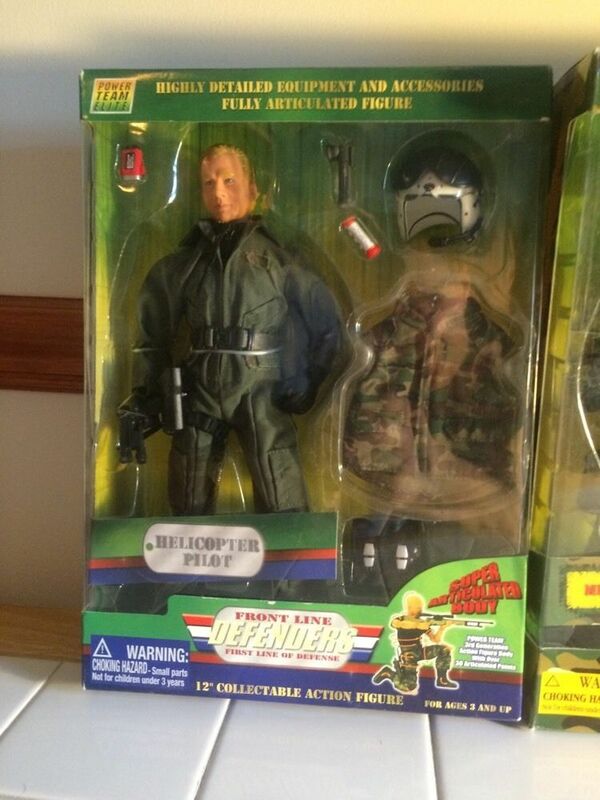 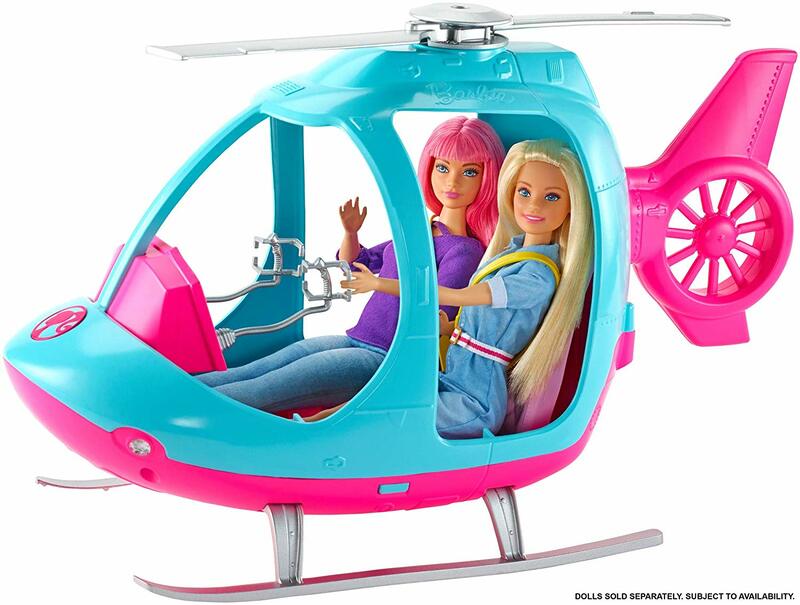 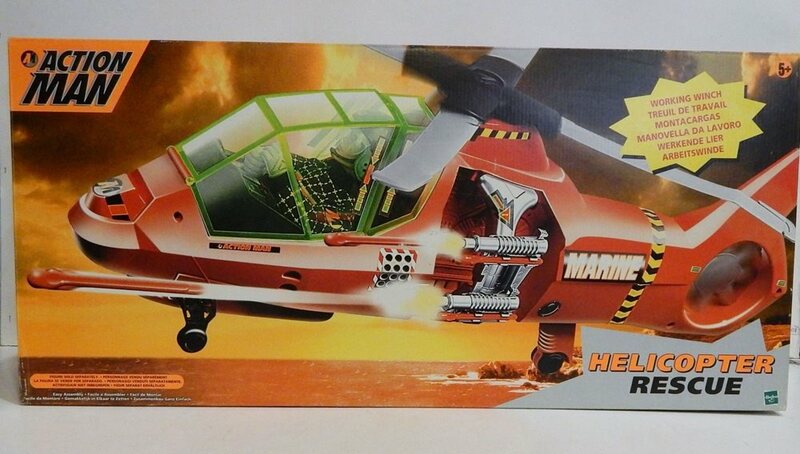 World Peacekeepers Helicopter Commander (blond). 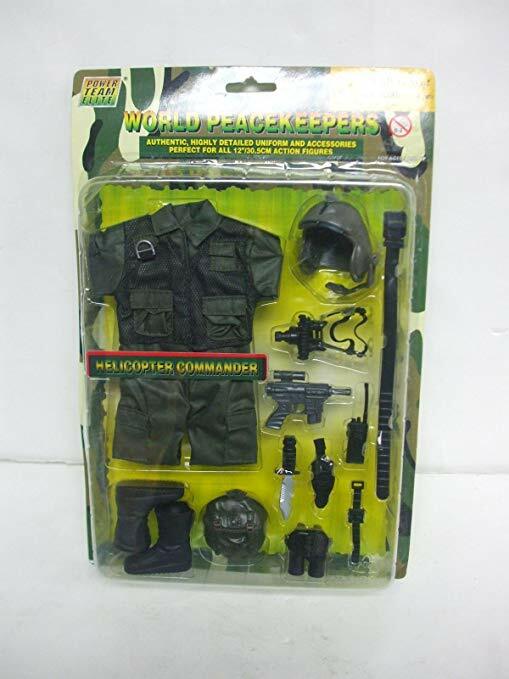 World Peacekeepers Helicopter Commander Uniform. 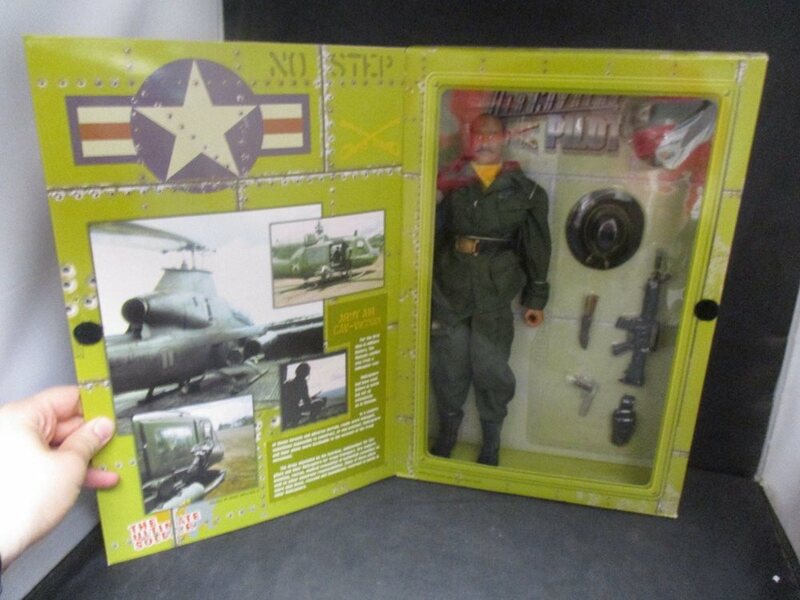 2000 Vietnam Air Cavalry Helicopter. 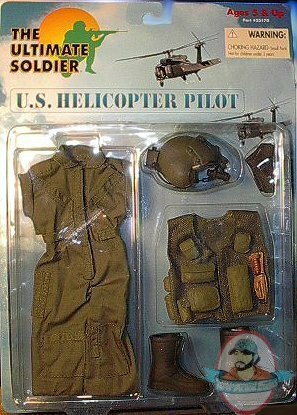 Vietnam Air Cavalry Helicopter Pilot. 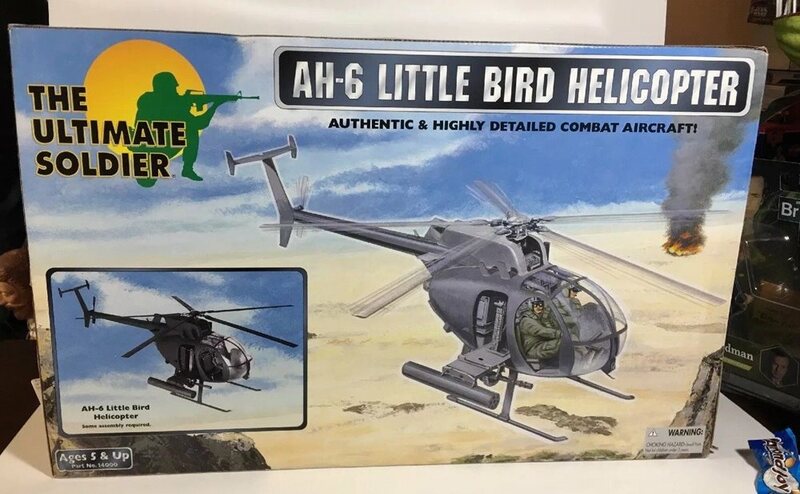 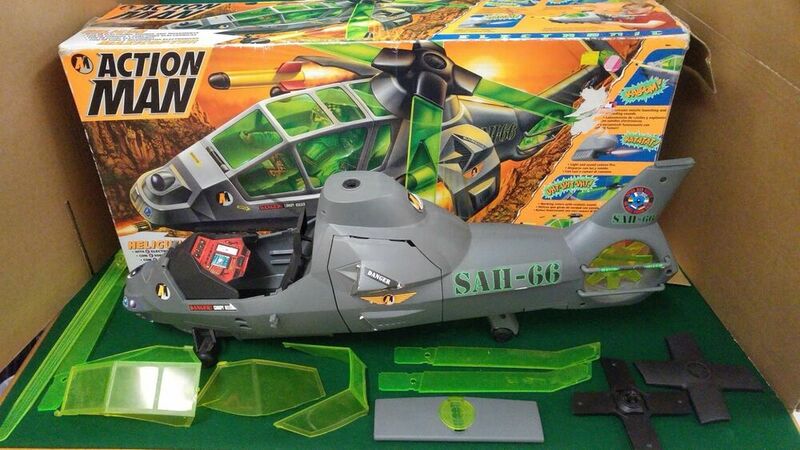 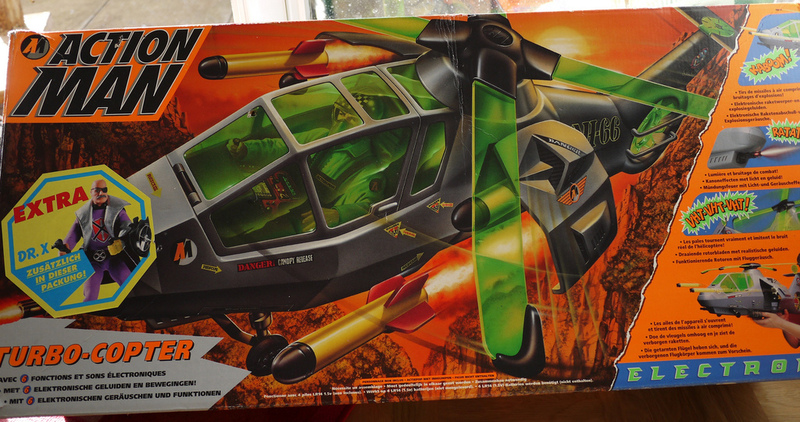 AH-6 Little Bird Night Stalker Helicopter. 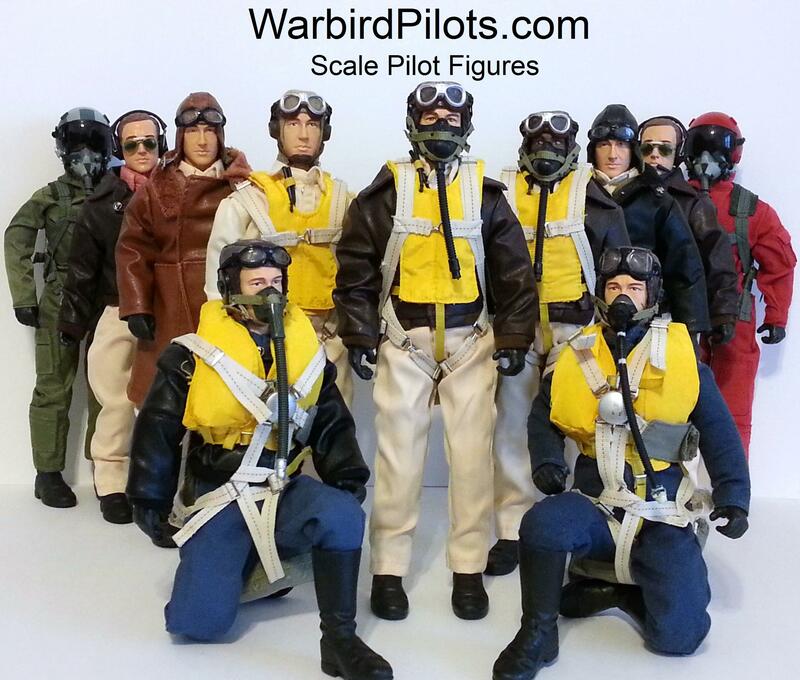 Wide range of scale pilot figures, including some that can turn their head remotely for extra cool / creep factor!